It’s finally June, which means summer is in session at Dancewave! Before we break into our summer happy dance, we must acknowledge all the hard work our students, families, and staff put into Spring Season 2016. 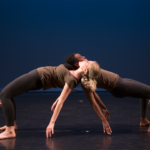 Spring Season is Dancewave’s annual weekend of performances celebrating Dancewave students, Dancewave Companies & Ensembles, and D-Wave in Motion students. 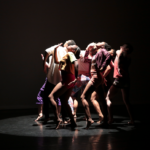 The work shown in Spring Season highlights both repertory by world-renowned choreographers and original choreography by Dancewave Teaching Artists. This year, Spring Season was held at LIU Kumble Theater Theater, May 20-22. Opening night, Spring Celebration, spotlighted Dancewave’s Amazing Creatures Ensemble (ACE), PS 133 D-Wave in Motion students, Dancewave Company II, Young Performers Ballet Ensemble (YPBE), and Dancewave Company. 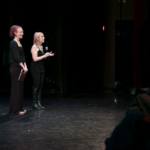 The program opened with a reprise of Falling, choreographed for ACE by Teaching Artists Mariah Martens and Nikki Holck. ACE also performed this quirky and fun piece at Dancewave’s Gala in April. Next, PS 133 students, of D-Wave in Motion, had the special opportunity to perform a hip-hop piece choreographed by Teaching Artist Caci Pritchett. Appropriately titled Turn Up Time! the dancers wowed the crowd with handstands, crazy jumps, and pure energy. YPBE performed original ballet work by Teaching Artist Lisa Bostwick, celebrating spring with leaps, turns, and pointed toes. 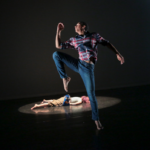 Dancewave Companies performed powerful and acclaimed work by award-winning choreographers Andrea Miller (Snow, Pupil Suite), Kyle Abraham (Pavement), and José Limón (THE WINGED). Throughout the semester, Dancewave Companies workshop and rehearse these pieces with their coaches, investigating ideas of movement relevant both inside and out of the studio. 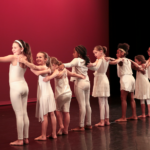 The second night of Spring Celebration featured Dancewave’s Pre-Ballet Ensemble, Young Movers Ensemble (YME), MS 447 D-Wave in Motion students, and Dancewave Companies. Dancewave’s Pre-Ballet Ensemble opened the second show with a piece choreographed collaboratively with their coach Maria Hanley, an exciting opportunity for dancers of such young age. 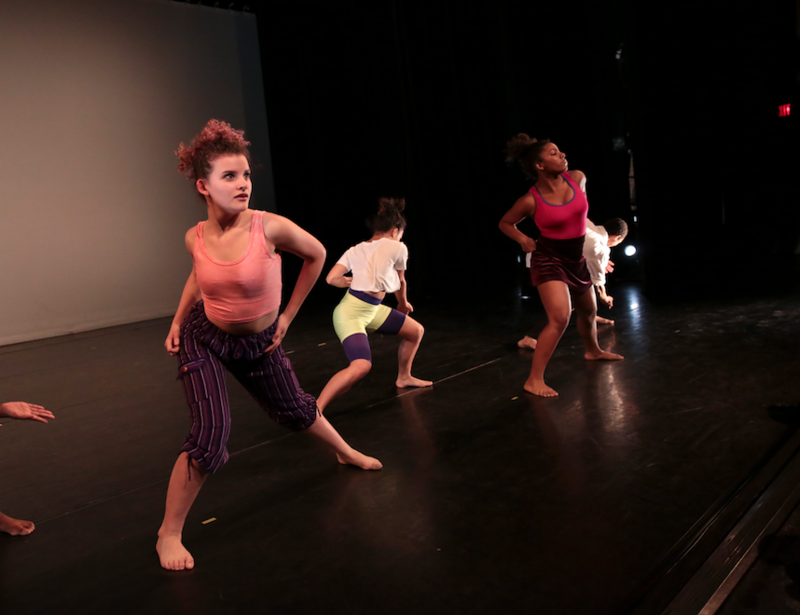 The Young Movers Ensemble also performed original work, choreographed by Dancewave Teaching Artist Paige Elana Horton. MS 447 danced an energetic and beautiful piece to Florence + the Machine, choreographed by Rebecca Oviatt. This night’s Spring Celebration highlighted Dancewave Company II in work by Julia Ehrstrand (KAGAMI) and Dancewave Company in work by Shen Wei (Re- III), celebrated choreographers in contemporary dance. 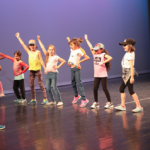 In addition to Spring Celebration, Spring Season showcased School at Dancewave students with two performances dedicated to the hard work of students in our school program. 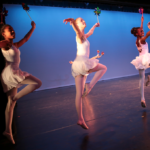 Classes that performed included Creative Ballet, Creative Movement, Creative Modern, in addition to all ballet, modern, and jazz technique classes. 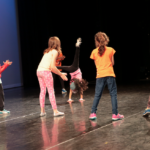 Each student showed their commitment and excitement for dance on the Kumble Theater stage! Dancewave thanks the students, families, Teaching Artists, guest choreographers, and staff for their hard work and dedication to transforming lives through dance. Spring Season could not have happened without you! All photos courtesy of the wonderfully skilled Travis Magee. View more photos in our Facebook album or order prints directly from Tavis Magee! 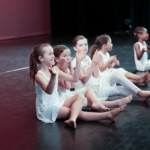 Join us for summer classes, camps, and intensives! More information here.